Stefan Thüroff, MD, PhD, is a specialist in urology and an expert in minimally invasive treatment of prostate cancer. For over 25 years he has been cooperating with the Clinic of Urology, Hospital in Munich, where he has been a Deputy Head of the Clinic since 2001. He also managed ESWL and HIFU units and departments. Dr Thüroff is one of the first doctors performing procedures using HIFU, an acclaimed expert on this method and its propagator all over the world. He studied at faculties of medicine at universities in Pisa, Italy, and Aachen and Heidelberg in Germany, where he obtained a diploma in medicine in 1983. On graduating from the university he started his service in NATO air forces as an army physician. 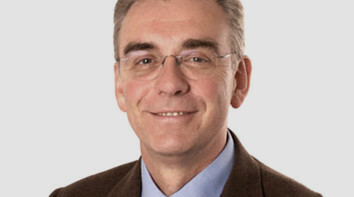 He obtained a title of specialist in general surgery in 1986, and in urology in 1990. In 1985, he defended his dissertation with distinction and was awarded the academic degree of Doctor of Medicine. Dr Thüroff won numerous scientific grants and various awards. In 2000 he received the first Development Award of Bavarian Hospitals for his works on development and implementation of HIFU technology in German hospitals. Dr Stefan Thüroff provides many trainings and international courses on lithotripsy (kidney stones removal) and HIFU issues, and has been a lecturer at the European School of Urology since 2006. He is a member of many German and international societies, and actively participates in scientific meetings and conferences. Dr Thüroff is an author of numerous publications in German and international literature, as well as conference reports and instructional videos.